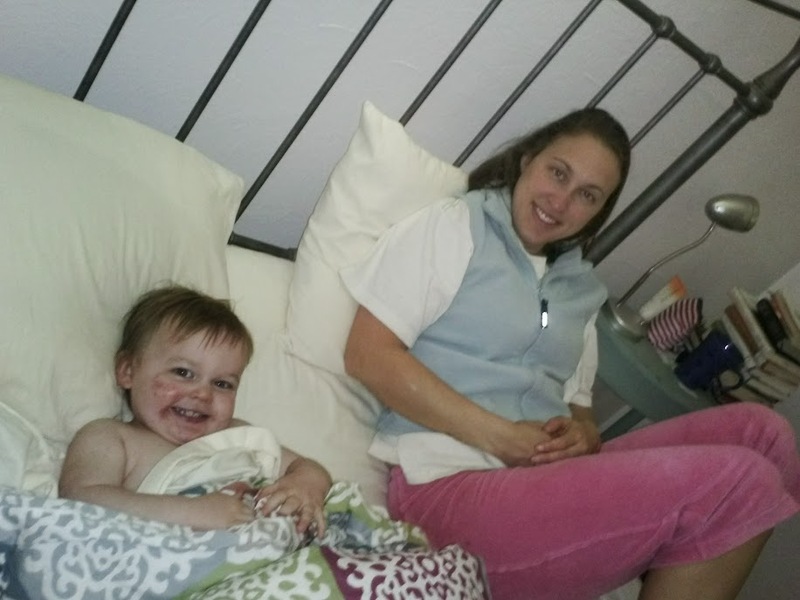 It's been a month since I've shared the cuteness of my family, so let's get to it! 1. Lucy likes to snuggle with us in the morning. Sometimes she is sweet, but more often she repeatedly screams "COVERS!" until she is sufficiently pleased with how we have covered her! 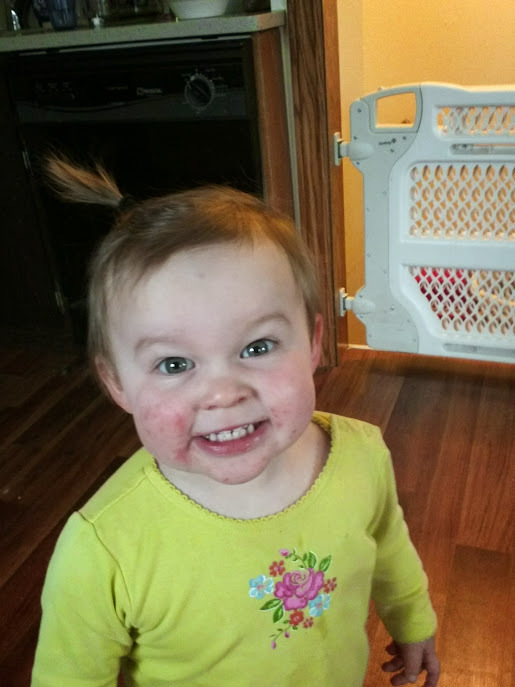 If you were wondering about the bright red splotches all over Lucy's face in the preceding pictures, it's hand foot and mouth disease...again. It actually wasn't that bad this time around. It looks TERRIBLE but it only really bothered her for a day or two. 3. Grandpa and Grandma came to visit last week! 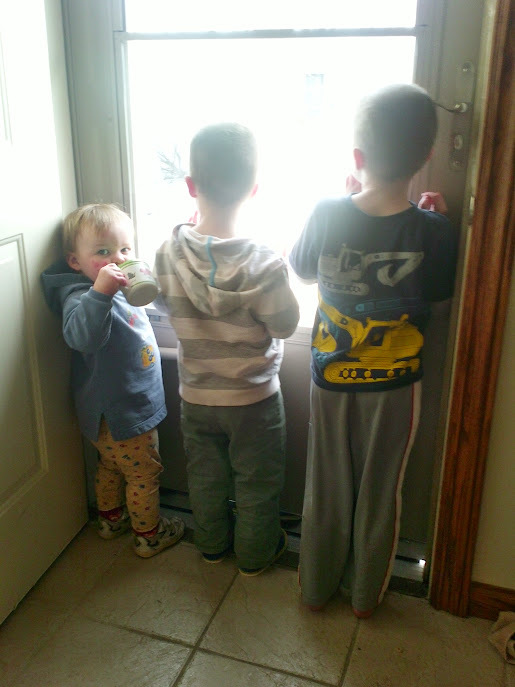 Here is a picture of the kids anxiously awaiting their arrival! 4. John was gone for two full days at an academic conference. So how did I survive? With ice cream! 5. 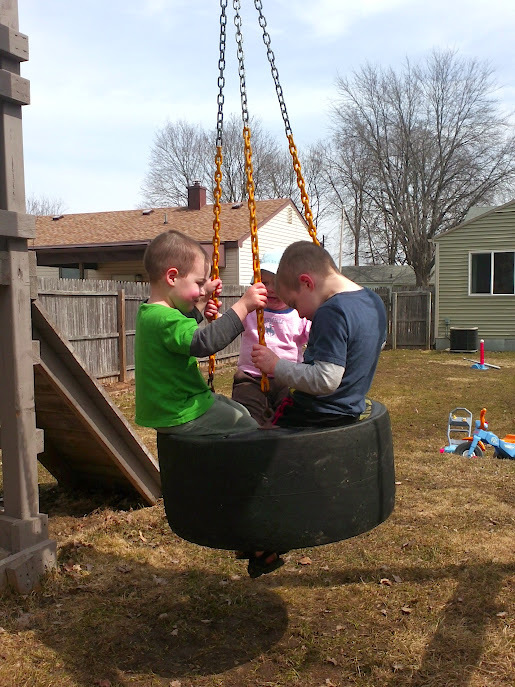 The kids' favorite thing to do now that the weather is warm is to ride on the tire swing! 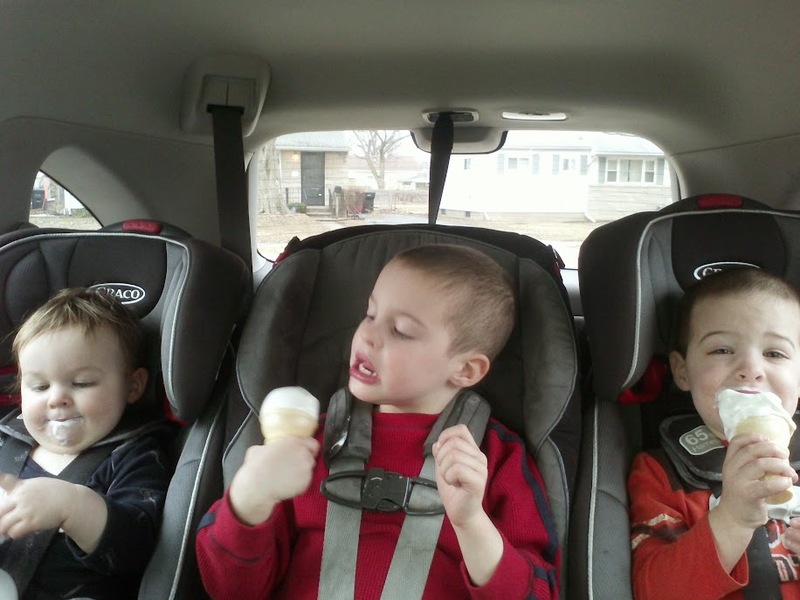 They like to sing while doing this, so here is a LOUD video of everyone singing! 6. 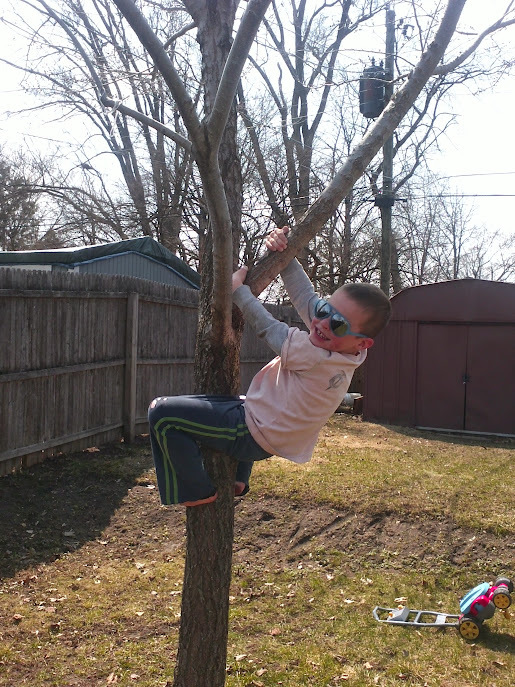 Blaise has started climbing trees. He gets this from his father. There are rumors that in college John would climb trees with his guitar and sit in the branches and play!